Are You A Lottery Player? Thank You For Visiting The Money Kingdom! Apply With The Best And Get Funded Like The Rest(98% Approval Rate)! - With Our 909 Lenders, Most in the USA! We'll Find You Business Funding Guaranteed! - Having Trouble Getting Funded Elsewhere? The operator of this website is not a Lender, but, a LOAN BROKER/ CONSULTANT. We shop your loan to 70+ lenders without "running" your credit until you are pre-approved. We do not make credit decisions, and do not charge any application fees. This website does not constitute an offer or solicitation to lend. This website provides a service wherein we submit the information you provide to our funding partners. Providing your information on this website does not guarantee that you will be approved for a loan. The provider may perform a credit check or otherwise verify the information you provide. All financial terms of the loan will be provided to you by the funding partner. Advance terms, conditions, and policies vary. factors such as time in business, industry and business cash flow. Upfront fees are never required. not. If you are not pre-approved you will be emailed with options. If you are pre-approved, we will call you within 24 business hours. Only after speaking with you will we request docs if not sent, process your loan, lenders will run your credit. THE MONEY KINGDOM does not run credit, only our lenders in our circle of over 909 to date. This notice takes precedence over any contrary item listed below... which is in your best interest to cut down on spam, for your protection. We only share your info with our lenders once you are pre-approved and contacted. 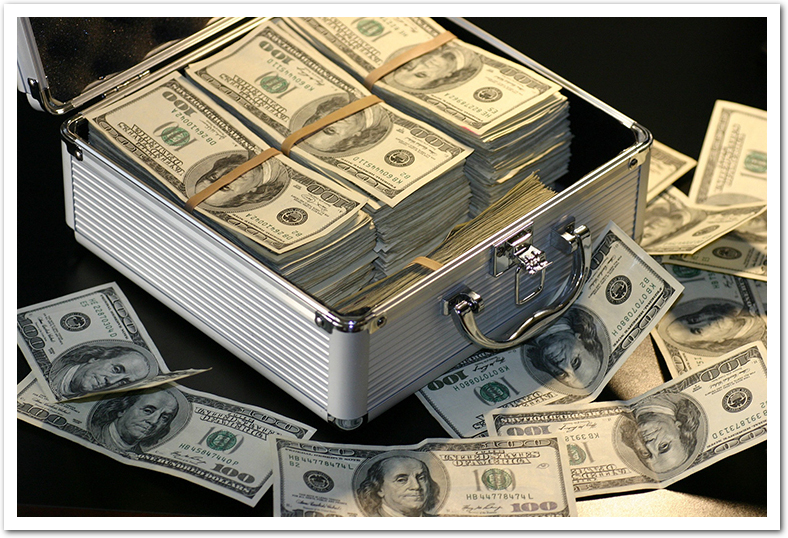 BUSINESS CASH ADVANCES $10K-$900K IN 6HRS WIRED TO YOUR ACCOUNT! Our Private Capital Investment Program has 2 unique products that allow small and medium sized businesses to compete with big businesses to compete with big businesses. Read on to learn about these 2 great products only we offer! The Best part? They can be used for any industry! Approvals and funding in 6hrs to UNDER 5 DAYS! We Have A 98% Approval Rate! We call them our ACHCA and MCA Programs! An Accounts Receivable Cash Advance(ACHCA) or Merchant Cash Advance(MCA) is a way to get money without getting a ‘loan.” In essence, we buy some amount of your business’ credit card or debit card receivables from a later date. Although we buy these at a later date, you get the CASH NOW. Then, instead of having your business pay a big monthly payment like it would with a loan, a certain percentage of your business’ future revenue is deducted automatically until the original cash amount is paid back. 1.) Good credit is not needed, nor does poor credit reflect on you getting less cash. It is not about you and your credit. It is about your Business Cash Flow! 2.) The amount you pay is low on low sales days and higher on high sales days keeping cash flow positive, or, we can be flexible and agree to set a pay back amount and schedule. 3.) No high monthly payments and no set maturity date which gives you more flexibility where agreed cash terms and future receivables payout is clearly defined so there are no surprises, no accumulating interest monthly so you can pay off faster. 4.) Our program DOES NOT require your business to do CREDIT CARD PROCESSING. 5.) You only have to be in Business for at least 3 months! 6.) Will not go against your credit. It is not a loan, so it won’t show up when you go apply for credit. 7.) Faster than a loan, get approved and funded in 6hrs to 3 days! 8.) We can negotiate percentages of future receivables to create funding environments that help you grow. What makes these 2 products that only we offer so unique is that they are not a credit based program, so, regardless of past credit, bankruptcies, or time in business, you QUALIFY! Complete Application Below For Fast Processing!